Sun., June 17, 2018, 12:11 p.m.
BRUSSELS – There are more women in the European Union than men, but you wouldn’t know it from top jobs in the bloc’s business, politics or civil society. That’s what an activist group in Brussels wants to fix. With less than a year to go before EU legislative elections, Women Enablers Change Agent Network plans Tuesday to kick-start a campaign to push for women in top EU posts and on company boards. Women make up more than 51 percent of the EU’s population, and while there are advances, Europe has plenty more to do on gender equality, the group says. Its goal is to seek an irreversible breakthrough. With elections for the European Parliament due next May, the empowerment of women will a major campaign theme in addition to other issues such as immigration, unemployment, security and the bloc’s post-Brexit future. Spanish Prime Minister Pedro Sanchez, a Socialist who took office this month after engineering the removal of Christian Democrat Mariano Rajoy in a no-confidence vote, signaled the political resonance of gender equality by appointing a Cabinet that includes more women (11) than men (seven). At stake in the European campaign are roles atop the three main EU institutions, all run by men and due for new leaders next year. The organizations are the EU Parliament, the European Commission — the bloc’s executive arm — and the chair of the meetings of national government heads. With the EU simultaneously negotiating its first post-Brexit multi-annual budget, the WECAN initiative can influence how Europe sets its spending priorities and boost the role of women in the economy, said Constance Kann, director of international relations at the Luxembourg-based European Investment Bank. The boards of the largest publicly listed companies in the EU are dominated by men, with women accounting for just a quarter of membership, according to the European Institute for Gender Equality in Vilnius, Lithuania. France is the best performer, while Estonia, Malta and Cyprus are the main laggards. EU institutions don’t perform much better. While the share of senior female officials in the EU bureaucracy has almost doubled since 2004, it’s still only around 30 percent, according to the EIGE. In the European Commission serving until end-October 2019, just nine of the 28 commissioners are women, and that came only after President Jean-Claude Juncker implored member nations to name female candidates. 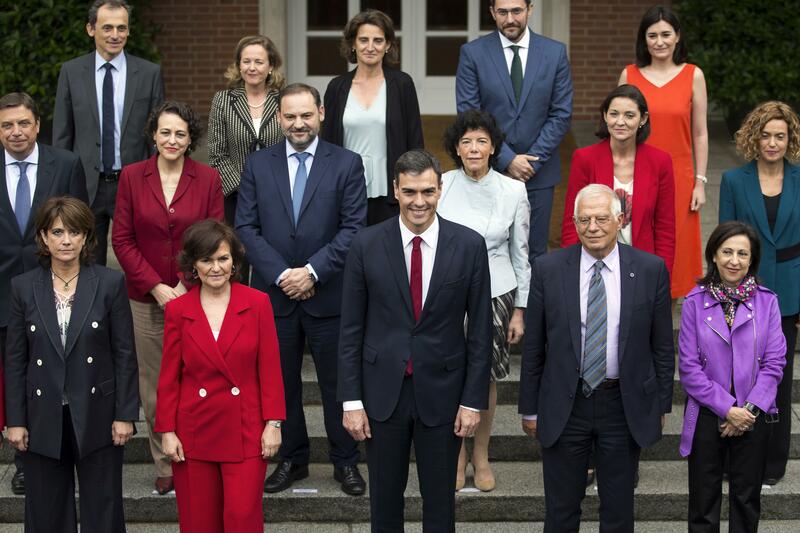 The numbers for national-government ministers in the EU are even weaker, with only 29 percent of posts assigned to women, according to the EIGE, whose data exclude the Sanchez Cabinet in Spain. Before that, Sweden was first in the female-ministers rankings, with 52 percent. At the other end of the spectrum, the Hungarian government includes only one woman — a minister without portfolio. Published: June 17, 2018, 12:11 p.m.